Costa Mesa's study session Tuesday afternoon and evening was memorable for many reasons. 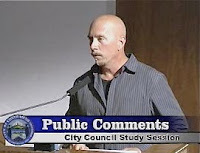 First of all, due to the huge turnout, it was moved from Conference 1A to the City Council chambers. Second, even though speakers were permitted only 2 minutes each, it took 38 minutes to dispense with all those who chose to address the council. Many of those speakers were city employees... more on that later. You can watch the streaming video of the study session HERE. Recognizing that most of the folks in the audience were there to hear about the budget, the council wisely moved the two agenda items dealing with that subject to the front of the line. Grant Administrator Lynd a Jenkins spoke in defense of her job, one of those on the list for elimination. She explained that she had been responsible for more than $5 million in grants. She expressed concern that positions that are revenue generators were being cut. She requested a review of council policy 300-1, to see if some modification can be made to provide medical benefits for those laid off. Similarly, City Buyer Don Stocker, another employee with a job in jeopardy, stood at the podium and quantified the value of his position and criticized the process by which the positions recommended for removal were determined. 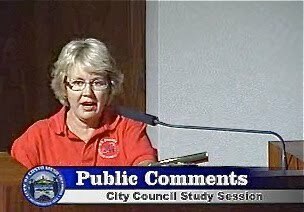 Fire Protection Analyst Susan Guze tta, a single mother of two and candidate for layoff, reminded the council that within the last year she brought before them an array of fees that, if they had been adopted, would have paid for the fire prevention bureau. Her department will lose 60% of it's personnel over the next few months. Officer Kelly Benjamin, who said she wor ks the front desk at the Police Department and whose job apparently is NOT in jeopardy, spoke with passion on behalf of those who she said were afraid to speak out. She recommended charging for ticket sign-offs and increasing the charge for police reports. 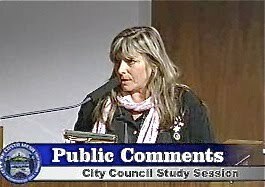 (An interesting sidebar - I attempted to contact Benjamin today to compliment her on her passionate presentation and ran up against a Police Department firewall. Twice I was refused the opportunity to speak with her - the message that was relayed to me was that she was "forbidden" to speak with me - and was referred to Lt. Bryan Glass, or rather, his voice mail. Three hours later and I'm still awaiting his call.) UPDATE: As timing would have it, Lt. Glass called me five minutes after I published this. He told me that Benjamin certainly was not "forbidden" to speak with me or anyone else, and that her comments are viewed as very positive by the Police Department. I accept his explanation and asked him to relay my thoughts to Benjamin. Nearly a dozen people rose to speak on behalf of Animal Control Officer Yolanda Macias, whose job is on block. Parks and Recreation Chair man Mike Brumbaugh stood to offer his concerns for public safety if the proposed staff reductions are imposed. Resident Mike Berry offered the observation that the entire budget shortfall could be resolved if the city could simply convince every employee to share the cost of their retirement and medical benefits by paying half the cost. That may be true, but the term " fat chance" pops to mind. His spouse and perpetual budget watchdog, the perky Judi Berry, presented charts showing revenue decline and suggested a 10% across the board pay cut. Larry Likens, president of one of the city employee associations, rose to express chagrin that no one from the City had contacted his organization about possible participation in a resolution of the financial problems. I guess I was surprised, too, if that's a fact. He indicated that there is a lot of resentment among the employees. Gee, Larry, no kidding! Community activist Cindy Brenneman expressed the personal loss to be experienced by the departure of the positions in question. She recommended raising the Business License Fees and the TOT. City Manager Allan Roeder led off the presentation of the budget by stating, "Today is the presentation of the preliminary budget for 2010/2011 and I can tell you that the presentation we make today is unlike any in this city's history." Later he said, "We have been reducing the budget, every element in the budget, for the better part of the last three years. We have used every trick, every tool in the book, to possibly reduce the cost of government without reducing services and without laying off employees. We take a lot of pride in accomplishing that." He said, "We've not raised taxes in the past twenty years. I don't think there's another public agency in this state that can make that claim." Roeder told the council that the management and supervision of the city does not take any pride in presenting this budget. He said, "There are no good choices in the budget before you." 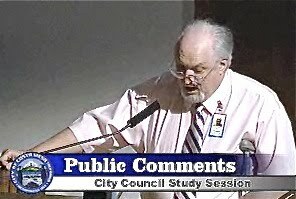 He went on to explain the recent history of how the city got to it's current situation and mentioned that, over the past three years, it has been necessary for the city to draw down it's reserves by nearly $35 million to a point where the welfare of the city is in jeopardy if further reductions are made. He explained that declining revenues are the culprit, including a decline in Property Tax revenues for the first time in his memory. He affirmed that the budget being presented at that time is simply a point to begin the discussion and debate. He said, "This is not a budget like any budget we've presented in years past." He stated that, "..the ability to find other areas of a non-personnel nature to cut in this budget are going to be next to impossible." Roeder, his throat tightening with emotion, said, "This is something each of us takes extremely personally. It is not a business decision, and as I've said, layoffs are not a budget strategy, they are a financial consequence." Budget and Research Officer Bobby Young then took over and gave an overview of the preliminary 2010/2011 budget. 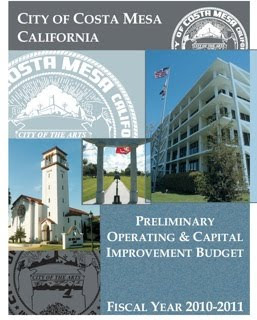 You can read and/or download the entire 230+page preliminary budget on the city web site HERE. The preliminary operating budget dropped by 1%, to $110,715,911. The capital improvement budget is down 22.46%. Young said 52% of the appropriations are allocated to protection of persons and property - fire and police,etc. 73% of the appropriations are salaries and benefits. Since the General Fund makes up 87% of the budget, Young focused that segment. Comparing projected 2010/2011 revenues to expenses we end up with a General Fund deficit of $16.4 million. 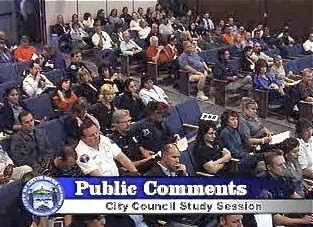 Young indicated that, two days following the council's budget study session, there is a Community Budget Briefing on Thursday, June 10, 2010 at 6:00 p.m. in Conference Room 1A and that the Public Hearing and Adoption of the budget will take place on Tuesday, June 15, 2010. Roeder, in a preamble to the prioritization exercise, indicated that the recommended reductions presented to the council tonight only gets the city about half-way. They would result in a savings of $8.4 million. That leaves $8 million left to attempt to reconcile. He indicated that they were looking at shifting expenses to the Redevelopment Agency where legally possible, even though the State just raided Redevelopment Agency funds again last week. He also said communications are proceeding with each of the employee bargaining units. From my view, it's unlikely that those communications will result in enough savings to save jobs, though. Th e meeting went on for another 90 minutes - three hours total. If you're really interested in how this meeting went, click on that link I provided to you and hear what each speaker and council member had to say for yourself. To paraphrase Meredith Wilson's lyrics from the musical "Music Man", we got trouble right here in River City, er, Costa Mesa and there are no easy solutions this year. Stay tuned. Besides raising taxes what options are available to save some these jobs? Both Yolanda Macias & Susan Guzetta are great ladies to work with. They have been an asset to our community and will be missed. cmclassics, that's the $16 million question. Even if the council agrees to put the TOT and Business License fees on the ballot, we won't begin to see revenue increases from either of them until next January - the earliest either or both could take effect. And, the anticipated income from any kind of reasonable increase in either won't get close to saving jobs. I quoted Allan Roeder above - he's right. It's unlikely that any significant savings can be found that will preclude the loss of some jobs (people). I have to speak up here for Linda Jenkins. She does an excellent job as the cities only grant writer. As a revenue generator she is especially important in times like these. The fact that Costa Mesa hasn't raised taxes in 20 years demonstrates a lack of foresite of epic proportions. 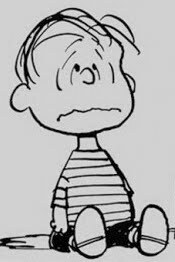 While I'm sure the citizens have shown their appreciation at the polls, it has obviously cost them all in the long run. The people that have spent their days (and nights) keeping this city safe deserve better than this. Local government's failure to see the obvious, like the inevitable cost of inflation alone, is going to put safety in jeopardy. Now I know the retort is "we're not cutting officers", but the fact that the men and women who handle traffic accidents, vandalism reports, and traffic control (just to name a few) are going to be eliminated means officers will be forced to ignore some duties, and I don't know how that makes any residents better off. I don't pretend to know any solutions to the financial mess the city put itself in, but I know that attempting to purchase the fair grounds at the cost of jobs and safety seems like extremely irresponsible leadership. Perhaps a change in priorities should be discussed with the citizens before they put us all in danger. Thank you. John Q. Public, I understand and appreciate your angst. On the one hand, the fact that the City has managed to function at a high level for 20 years without a tax increase is admirable. On the other - as many people including myself, have been saying for years - we needed to update the TOT and Business License fee schedule for years. However, based more on political dogma than brains, many current and past council members have chosen not to place those questions before the voters. It has now come back to haunt us and is exacerbated by the broader economic difficulties. However, even if we had brought those fees up to the average for the county, the resultant income wouldn't resolve our financial difficulties - not even close. You do realize that, except for the staff time being used to put the plan together, the actual acquisition of the Fairgrounds as proposed by the City will NOT use any municipal funds, right? I know the timing is terrible - from many standpoints - but the Fairgrounds acquisition and the layoffs are not related. I suspect there are few residents of this city who don't feel pained by the decisions that look inevitable now. I can only speak for myself when I tell you that I am grateful to the jobs being done by those folks on the "list". I don't see a solution to the City's financial woes without layoffs. Even if every employee were to take a significant pay cut - 10%, for example - it still wouldn't be enough. This is a simple case of our reserves not being sufficient to weather the economic downturn we are in. I don't see a reason to run around and panic about it. This downturn will not last forever. Except for the unfortunate personal crisis this creates for those that will be laid off, I hardly consider this a tragedy. Geoff is right that even with TOT and business license revenue, we would be where we are right now. Our financial house is in reasonable order from a management perspective. Reserves were maintained at a level that was considered prudent for typical economic downturns. Let's tighten our belts, give up some services for a couple of years, bring them back when things turn around. Look to the community to step up and fill some voids. I suggested the creation of a volunteer corps to help fill some voids like afternoon programs and park upkeep, maybe an adopt-a-park program. Bruce, I like that idea of a volunteer corps (or corpse, if you're Obama). Certainly there must be many jobs that could be performed by volunteers for the short haul. Perhaps one job could be split, with two volunteers filling the gap left by laid-off staffers temporarily. Sounds like a good idea that should be further reviewed. 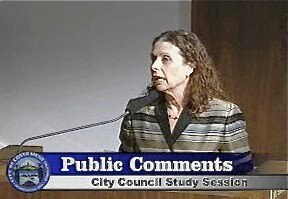 What many fail to acknowledge is that Costa Mesa, EVEN WITH LOW TAXES THAT HAD NOT BEEN RAISED IN 20 YEARS, had a healthy reserve and was giving staff raises right up until the economy took a dump. It was unprecedented, and second-guessing or bemoaning taxes that could have been is the wrong approach. 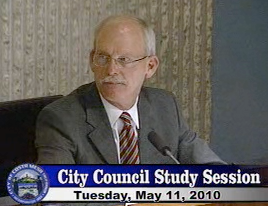 The fact that Costa Mesa DID NOT fall into the match everyone else tax/fee for tax/fee trap demonstrates excellent leadership from Allan Roeder and City Councils past and present. The current council majority has done the city a great service by keeping teh lid on taxes/fees. We thrived on much less than other cities - why should we pay extra for police reports or to have tickets signed off? Sure, charge high fees for non-residents, but residents should have free or very low cost municipal services. Bruce is right - now is not the time to freak out and pass a bunch of new taxes/fees. We need to tighten the belts and pare back services until the economy rebounds. Common sense, you may be correct, but that "belt tightening and paring back" represents people. As Roeder said, there is no way to balance the budget without laying folks off. If you read Chief Shawkey's quotes in the Daily Pilot today, you know he's not happy about losing all those staff members - can't blame him. EVERY service the city has provided in years past will be impacted... virtually all the youth programs will feel the pinch in a very big way. You're certainly correct when you praise Roeder and councils in the past for managing our finances so efficiently in years past. However, unlike the federal government, we can't simply print money when things get tough. An increase in the TOT will, for the most part, only impact folks passing through town. The business license fees are laughably low. Without more income we will continue to be faced with further layoffs and service cuts - that's a fact! TOT could go up several points, and business license fees as well, as long as it is still a flat fee, not tied to revenues or sales. Sales tax already covers that. I understand that the purchasing of the fair grounds is not taking municipal funds, but as you said, the planning and organizing is taking funds, and while I won't pretend to know the salaries of the people that are doing that, I am going to bet they aren't minimum wage folks. I also understand your point about raising taxes now wouldn't fix the problem. The PROBLEM is that no one saw the PROBLEM before it was a PROBLEM. Also, I have caught wind of rumors that the police department is going to fill a position that makes nearly 100,000 annually with someone from outside their agency. If that is the case (perhaps you can investigate)it would be difficult to believe these cuts are nothing more than posturing. Just a thought as I don't have confirmation that position has officially been filled. I guess I just feel for the people getting cut, when it could have been avoided with some foresight (spelled it correctly this time). Common sense, even if the TOT was raised 4 points it would only be at the median for the county. harkey92, I expect the effort to secure the sale of the Fairgrounds it taking up a lot of very expensive time - Allan Roeder's for example, plus the City Attorney and Becky Bailey-Findley as a consultant. Then, again, we're not asking them to sweep the floors or patch potholes, are we? Au contraire, Roeder has been warning about the revenue shortfall for years! I've attended the last 3 budget workshops and have discussed this at length with him and Bobby Young. They can only recommend, basing their recommendations on facts and figures. If the council isn't smart enough - and ours has NOT been - to hear and understand what they are saying we find ourselves in this fix. Of course, the economic downturn (recession) accelerated and amplified the issue. For the past couple years Roeder and staff have done an amazing job of retaining jobs while managing the budget. But, there are no more rabbits in the hat. 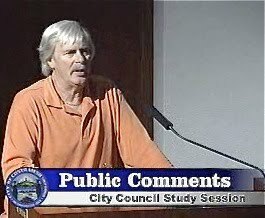 I spoke with Bibby Young a couple weeks age about the revenue loss in our city, and his concerns (if a may loosely paraphrase)were concentrated in hotel tax revenue, and the negative CPI adjustment and the effects that this has on property taxes in California due to prop 13. Even prop 13 homeowners will receive a reduced property tax bill year year from the CPI deduction. Although I really don't know, I am afraid raising business license fees will make up for the difference.